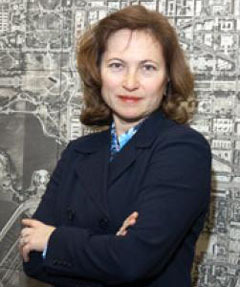 Harriet Tregoning, who’s one of the smartest and most capable Smart Growth advocates in the United States, just took command of Washington, D.C.’s Office of Planning, among the most visible planning jobs in the country. And as the better half of the uniquely well-positioned leading couple of Smart Growth — her husband of 17 months is Geoffrey Anderson, the director of the EPA’s development, community and environment division — Harriet brings her brain and moxie to positioning the nation’s capital to prosper in the 21st century. I introduced myself as the Institute’s founder and executive director. She said she directed the EPA’s Smart Growth program, which started at the urging of Al Gore and Carol Browning, the EPA Administrator. We spent the next few hours engaged in animated conversation about Washington, the Clinton administration, and the potential for Smart Growth to become a new organizing principle for the nation’s economy. I found her much more knowledgeable than myself, so articulate, and possessing a surprising amount of idealism. She was fun to be around, and as I learned over the years Harriet just inspired confidence and attracted friends. I’ve crossed Harriet’s path in many states since then, at Smart Growth national organizing meetings in San Francisco, Idaho, Chicago, and during a 3-day gathering in Seaside, Florida hosted by Maryland Governor Parris Glendening. I met with her and her staff at the EPA, where I also met Geoff, who was one of Harriet’s aides at the time. I learned last year that they’d wed in 2005 and I thought that makes sense. She’s a tiny woman, quick-witted and not all shy. He’s a big guy, earnest in his professional manner, committed to his division and its mission. He’s also a funny man who knows how to tell a joke, likes to laugh and doesn’t take himself too seriously. Harriet’s big break came in 2000 when she was hired by Governor Glendening to serve as the Secretary of Planning. When Glendening’s two terms ended, Harriet joined the former governor in starting the Washington-based Governors’ Institute on Community Design and the Smart Growth Leadership Institute, where she served as executive director. She was awarded a Loeb Fellowship at Harvard University in 2003 and 2004, where she studied real estate development, game theory, affordable housing, and drawing. What’s cool about the Smart Growth movement is how some of its leading figures are moving into positions of prominence around the nation. Robert Liberty, who served as the executive director of 1000 Friends of Oregon, is now an elected member of the Portland Metro Council. David Cieslewicz, who helped found 1000 Friends of Wisconsin, is the mayor of Madison, Wisconsin. Elaine Clegg, the co-director of Idaho Smart Growth, is the president of the Boise City Council. Here at home, Chris Bzdok, an environmental and land use attorney with Olson, Bzdok, and Howard, the Michigan Land Use Institute’s general counsel, is an elected member of the Traverse City city council. I met Harriet at Railvolution in D.C. last month. She spoke about some of the new planning initiatives happening around D.C. What a great speaker and strong advocate. It was very inspiring. Next PostNext Why Give Barack a Pass on Energy?